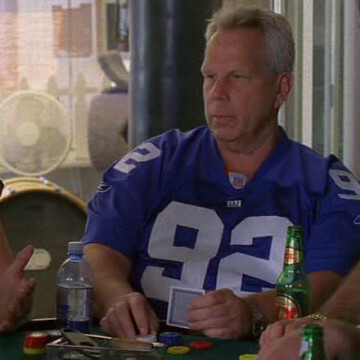 Steve Tisch offers an Entourage cameo during the eighth season’s sixth episode, titled The Big Bang. He is introduced during the poker scene around the episode’s twenty-minute mark, prompting Dice to ask Drama if he knows who Steve is. Tisch is the current chairman and Executive Vice President of the New York Giants. Moreover, he has served as a producer or executive producer on films like Forrest Gump, American History X, and 2015’s Southpaw.